Your game is very likely gonna be made of multiple levels, or sections. In the TopDown Engine, just like in Unity in general, there are multiple ways you can structure your levels. The most straigthforward way to do it is to create a scene per level, and have a door/gate/finish line at the end of your level that leads to the next level, but you can also create multiple sections within a single scene. On top of that, the engine comes with ways to link your levels, save data over them, create level selection screens and character selection screens. This page covers all that. With Unity, usually when you want to go to another scene (in a menu, or to go from one level to the next for example), you’d use the SceneManager API, and probably the SceneManager.LoadScene() method. Personnally I think that the native method doesn’t provide visual feedback to the player, and scene loading on mobile for example can be a few seconds long, so just having a black screen there isn’t really good looking. To fix that, the engine comes with its own scene change API, that you’re completely free not to use if you don’t like it. The engine comes with a built in examples of level selection. It is a carousel containing cards showing info about each level, the LevelSelection scene. 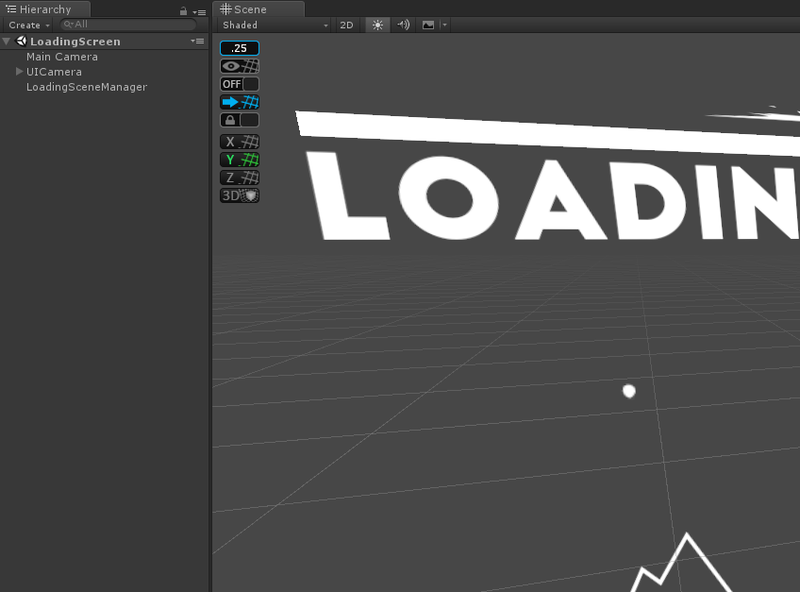 It’s fairly simple in terms of logic, simply using the LoadingSceneManager to go to the selected level. In certain situations, it might be a good idea to create different sections within a bigger scene. In this case, you’ll want to use the Teleporter component. You can see it in action in many of the demo levels, and a focus on that in the Minimal2DRooms1 demo scene. It’s quite simple to use, you just need two of them (or more) in your scene, you link them via their inspector, define their behaviour, and you’re good to go. The engine also allows you to link different scenes together and specify where to start in each scene, based on where you’re coming from. Maybe you walked to the top of scene A, and there’s a door there that sends you to Scene B. But there may also be a door at the bottom of scene A that sends you to scene C. And once you’re in SceneB you want to go back to the top of A, etc. That’s exactly what the Minimal2DRooms1 and Minimal2DRooms2 demo scenes demonstrate. They use the GoToLevelEntryPoint component. It’s quite easy to use but requires some setup. First you need to create Entry Points in your target level (if you’re in Scene A and want to go to Scene B, your target level is Scene B). To create Entry Points in Scene B, just create and position empty objects, or pick existing ones (checkpoints for example). Then select your Scene B’s SceneManager, and in its inspector, define how many points of entry you want for this scene, and bind them there one by one. Once this is done, go back to Scene A, create a door/object with a GoToLevelEntryPoint script on it. Set its various activation conditions and settings however you prefer, set the Level Name accordingly (Scene B in our example), and set the point of entry index for this object. Remember, indexes start at 0. So if you have 3 entry points in SceneB’s LevelManager, index 0 is the first point in that list, index 1 is the second, and so on. And that’s it, you’re good to go!